Twin pregnancies have increased rates of premature labor, pregnancy-induced hypertension, breech lie, cerebral palsy, and perinatal death, among other complications (Kovacs et al. 1989). Some of these complications are due to the poor adaptation of the human uterus to the increased demands and mass of twin pregnancy. Some complications are related to the obstetrical problems of delivering twins, although modern obstetric management greatly reduces these risks. 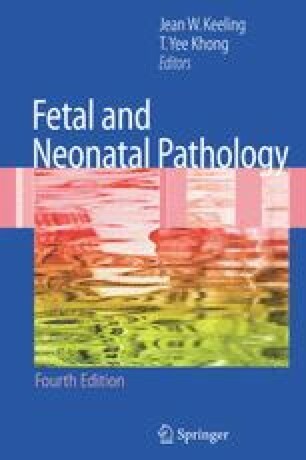 This chapter focuses not on these general problems but on those associated more specifi cally with the formation of twins. The discussion focuses on twins as the simplest unit of multiple gestation. The same considerations usually apply to higher multiples of gestation—triplets, quadruplets, etc. These multiple gestation pregnancies have become more common with the increased use of assisted reproduction techniques (Callahan et al. 1994).